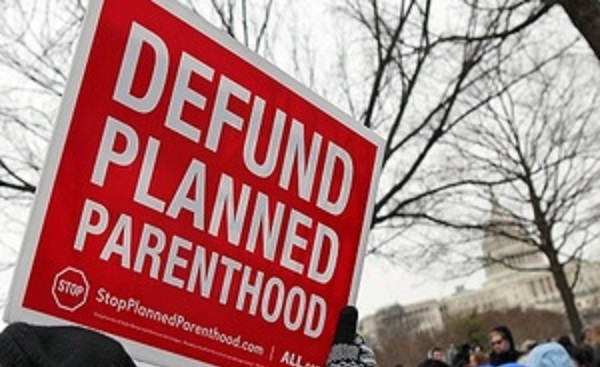 SCAM: Is Planned Parenthood Getting Tax Dollars Through Unofficial Channels? Planned Parenthood could very well be nearing the end of its taxpayer-funded free-for-all, if Republicans in Congress have anything to say about it. But according to the American Action League, the nation’s biggest Catholic pro-life group, the abortionists may have already lined up unofficial avenues through which they could continue to profit off the back of the American worker. In a preliminary report released this week, ALL says that investigators should look into the links between Planned Parenthood at a pharmaceutical company called Afaxys. Afaxys is well known in the public health industry; they supply medications for universities, community health clinics, and family planning organizations. Their clients, of course, include Planned Parenthood, to whom they supply a controversial form of birth control. According to ALL’s report, Afaxys is more than a “Planned Parenthood affiliated company.” It is essentially another wing of Planned Parenthood, one that has filled many of its management positions with executives who used to work for the nation’s dominant abortion organization. Ronda Dean, the CEO of Afaxys, came to the position after serving as vice president of Planned Parenthood. Even Afaxys’ parent company – 416 Holdings, INC – is largely staffed with former Planned Parenthood execs. So what’s the problem? More than anything else, ALL is concerned about the 340B Drug Pricing Program, a government mechanism through which healthcare providers can get a discount on certain prescription drugs. In their report, ALL urged lawmakers not to overlook the unseemly relationship between Afaxys and Planned Parenthood, as it could provide the abortionists with an unregulated avenue through which they could continue to profit off taxpayer funding. “As Congress moves to shut off all direct funding of Planned Parenthood for the next year, we urge members of Congress to launch a full investigation of Afaxys and all Planned Parenthood’s ‘affiliated companies’ and end its indirect access to taxpayer funds,” ALL said.